Oracle (As this Saga enters and after your draw step, add a lore counter. Sacrifice after III.) I, II ? 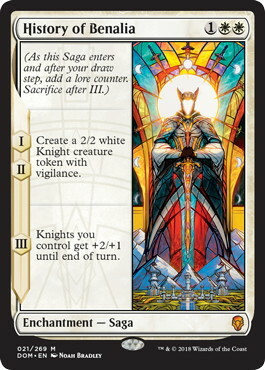 Create a 2/2 white Knight creature token with vigilance. III ? 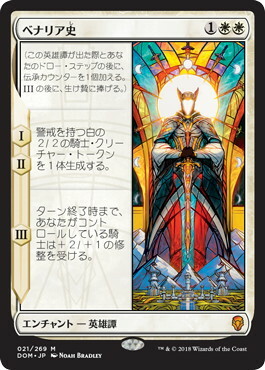 Knights you control get +2/+1 until end of turn.